While many realtors act as both a residential and commercial realtor, Swallows & Associates Realty focuses on buying and selling homes. This allows them to really meet the needs of their clients and get to know the market fully. Reviews say that the clear amount of effort the realtors from this company put into each and every client is what makes the experience. This team will not only find you a home that meets your budget and style needs but one that is in a neighborhood you will love with school and shops nearby. There are many basic things to consider when you want to buy a new home. You need to assess what you are willing to spend, the neighborhood you would like to live in, what the surrounding area offers, and the features of the home that you would like to have included. These are all things you can discuss with The Mario Romeo Team. You will work with a professional residential real estate agent to find a home that meets all of your wants and needs at a price that suits your budget. 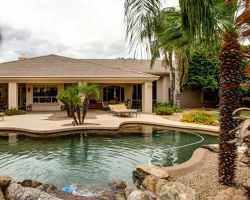 The expert Phoenix realtors at Realty Executives Phoenix provide all of the industry experience and knowledge needed to get you into a home you love at the most affordable price possible. This team works closely with their clients to ensure they are finding them their dream home. Whether it is your first time buying, or you are looking to sell and buy all at once, there is no one more experienced than one of the local real estate agents at this company. 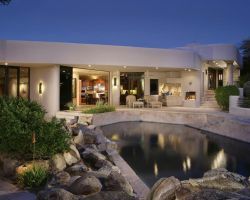 The Janus Group are relators in Phoenix, AZ focused on getting their clients into homes that match their lifestyle and personality. This is the company you should turn to if you want more than just someone to find a home that fits your budget. You could do that by flipping through newspapers. This team provides their clients with a home buying experience. This means getting to know you personally and getting to know the intimate details of each home for sale in the area to create the best match. 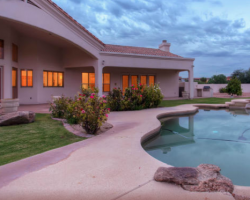 Toma Partners Real Estate is the dream home buying and selling team in Arizona. They have experience in real estate with the most high-end, luxurious homes in the area. If you have a large budget and would like a home to suit your elegant lifestyle, then this is the only realtors you can trust to sell you your new home. You will experience how hard this team works for yourself when you hire them. There is no detail they will not address and no request they will not meet.